For the last few weeks I've been working on some projects, but there is one in particular that I think will be really useful for the blog community. It's called Sikbox. 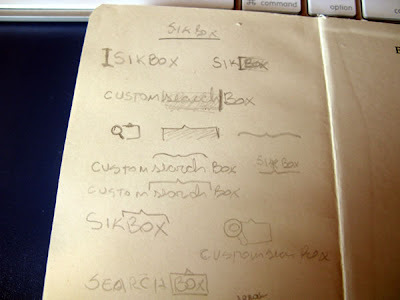 Sikbox is a web app that allows you to add a live search to your site, or any site. It uses the Yahoo Boss api and it actually works better than my Drupal default search system. I recently finished up a project with Scott McIntyre of Vivid Ways and Jon Phillip of Spyre Studios. 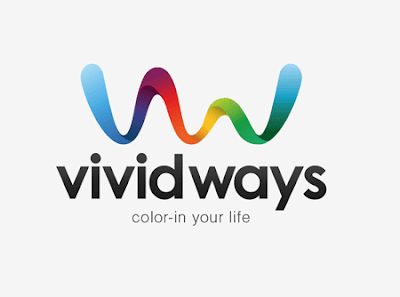 My part in the project was to work on a new logo design for the Vivid Ways website and brand. Here’s my design process and a walkthrough of how the final logo is created in Adobe Illustrator. 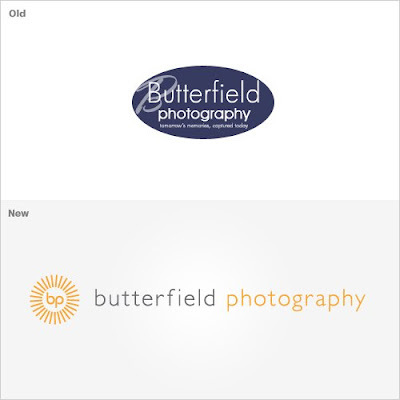 I’ve recently finished designing the identity for ‘Butterfield Photography’, a photography duo based in Southern Arizona, USA. In this article I share with you a bit about the process & decisions made while working around the constraints of this particular project. This tutorial is intended to benefit both our potential clients, so they can have a fully comprehensive overview of our logo design process and methods; and many of our users, interested in the process of designing and developing a logo.For the purpose of this tutorial, we're going to design and develop a logo for an imaginary company, called "LTD", short from Logo Tutorial by DryIcons. In this article I will guide you through the process of creating the identity & logo design for one of my recent clients, UKE, offering insights into not only the thought process behind creating the logo but also the creation of the logo itself. It’s of benefit for prospective clients to know how I work, and here I give a very brief overview of the brand identity design process. The first thing when designing a logo, is to understand the context, history and what's the image it has to deliver to the audience. Asking Carlos about the meaning of the logo, he explained to me that the logo was, of course, related to “brainstorming”. For quite a while now I have been wanting to do a re-brand as I felt my old identity was not up to my standards. 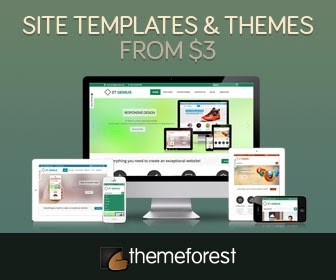 I felt the type was outdated and that the icon was a little too hard to figure out and also unrefined. As most designers probably know, it is very hard to come up with an identity that you are 100% happy with. We always tend to be extra critical of our own work. In this article I will talk about how I came to the name for my freelancing business ‘Just Creative Design’ and also the logo design process that I used to design the award winning logo that you see above. Hi! As promised earlier, here I am with an account of one of my recent design projects, a logo design which I completed recently for a client. A couple weeks back, Rafaeel Akbar Choudhary approached me who required a logo for his SMS based service “YaaDahani”. Rafaeel, a.k.a “Roofi” is a serial entrepreneur, Product Evangelist, Brand & Project Manager, IT & Telecom Consultant, Leadership Trainer, Blogger, Underground Band Promoter and an Event Planner. Perhaps this pretty much sums up his life. The problem is that step-by-step examples are rare. Why? Mainly because unless you are interested in sharing such information, there isn't much reason for recording it. And even if you are, detailing the steps can get in the way of the process. If I'm ready to move to the next stage of an idea, I am normally not interested in recording what I've done to get there. Learn how the creative brainstorming process works and how the logo design process flows along all the way to the final vector art. Understanding what a graphic designer does when designing a logo mark is valuable because it helps clients understand just how tactile a process it is. 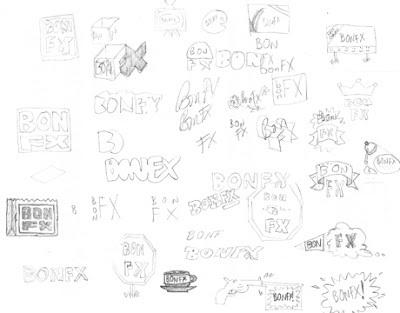 We’ll show you how we do it in 23 steps!For BonFX, and any designer worth his or her salt, logo design is an iterative process. Many dead ends are encountered looking for the one right idea. But those dead ends are like pieces of marble that are chiseled away from a sculpture, as the artist “frees” the image trapped in the stone. In the case of a logo designer, the “stone” is blank white paper, and the chisel is a No. 2 pencil. Since our new website has been online for a little over a month now, I feel it is time that I give you all a little insight into my creative thought process for logo design. Although my strength is in website design, many of the concepts and ideas needed to create a logo for a client are similar enough that it is a natural extension. 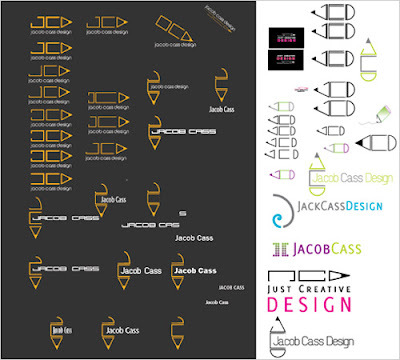 My logo design sketches are quite rough, and a few are shown below. It doesn’t matter how professional, or artistic the sketches appear. What’s important is how the sketching process allows for ideas to flow faster than they do on computer. 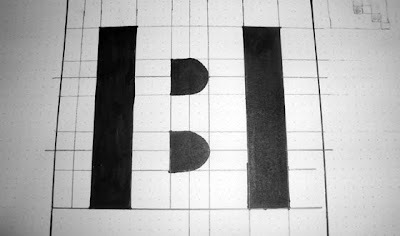 In this case, my sketches uncovered the idea of turning the letters into jigsaw pieces. I have recently completed a project working on a new logo for a re-launch based in the UK. The aim is to follow my design process from start to finish and to serve as interesting reading for the design community. A couple of months ago, I was approached by Mark Adair of Envision Customworks to design a logo for his environmentally friendly building and construction company. Envision Customworks was launched in March 2009 in Jackson, Mississippi by Mark and his brother. They are a construction company that specializes in higher end remodels. They build custom furniture out of various types of wood, steel and glass.They design and build custom light fixtures, kitchen layouts, cabinets and bathrooms.Their niche lies in the fact that they use recycled material to build their beautiful custom pieces. VISSUMO is a provider of next generation touch technologies for industrial, architectural, retail, transportation, instructional, and entertainment applications. The company has recently undergone a name-change, from Infini Touch to VISSUMO, and it was my task to create the new brand identity and stationery design. Seasoned Greetings is a collective for sharing and discovering unique recipes. Made possible by Ypartnership, it was initially created for the holiday season but it has the potential to grow far beyond. 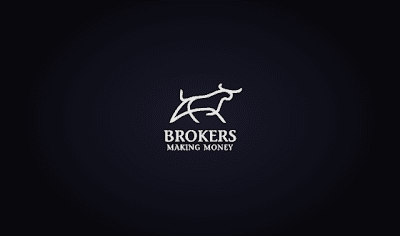 Logo design in today’s world is totally underrated. People don’t understand how important a good logo is and how valuable it is to their business. 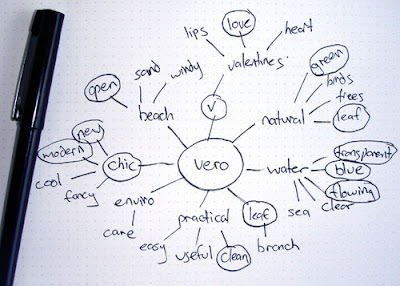 Let me guide you through the basics of what makes a good logo, while also walking you through the process of creating the identity and logo design for one of my recent clients, Vero, a limited liability company based in Miami, Florida. Hopefully, this will give you an understanding of what actually goes on behind the scenes while creating a professionally designed logo. 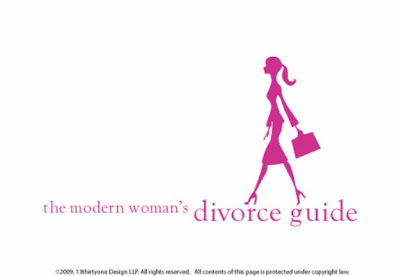 There are times when creating a logo can seem overwhelming. But in an industry where efficiency is key, I’ve learned a few tricks that help me to create logos that are effective, meet my clients’ objectives, and are portfolio pieces that I feel proud of.Today I’m going to walk you through my logo design creation process, and what better way to walk you through it than by using a client case study?Meet The Modern Woman’s Divorce Guide, a web-based divorce how-to that also empowers women. I was humbled and delighted when Vitaly Friedman from Smashing Magazine approached me to come up with a new logo/badge for their new Smashing Network. Chalk another one up for the logo design porfolio.I’ll be honest and say I was initially a little dumbstruck when Vitaly approached me, Smashing Magazine is known and loved by pretty much everyone on Earth. So like, no pressure dude. Yeah, really. This was an easy assignment because I had a very strong foundation to build on: the Robin logo above, introduced in 1991, which I’ll be writing about in a Robin logo study soon. In brief, the R comes from the costume redesigned by Neal Adams, and the rest was a group effort by several designers. 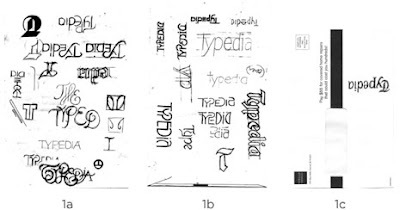 It was very successful, lasting nearly two decades at a time when many logos came and went quickly. LatitudeSouth is a new enterprise offering a fresh direction in legal services outsourcing. Working with clients all over the world, their New Zealand origins were of importance to the company. Allow me to invite you through a brief overview of the creative process of designing their new logo. 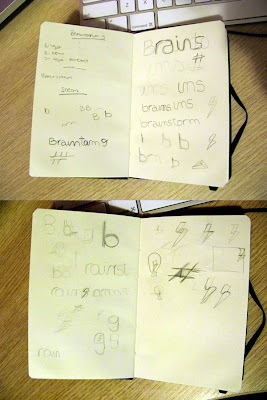 I was the lead designer on this project, and so I started sketching some ideas for this logo design. After getting to know the clients well, I had made notes that were of Irish and French decent. With the client’s last name being MacDermott, I decided that Irish Celtic symbolism or crest imagery would work well for the “protection” concept I was planning. I researched the McDermott Clan, and found the McDermott crest. I also learned that the traditional McDermott clan motto was “The Strong Hand Rules”. Perhaps I could include this somehow into the concept. 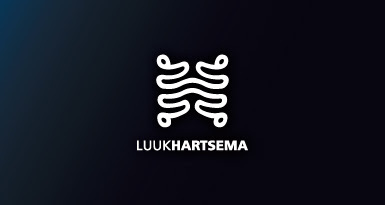 Here I will show some information behind the logo I created for Luuk Hartsema. Luuk Hartsema is a Dutch graphic designer who approached me to create a personal identity for him. It is quite common that designers find it difficult to design for themselves so Luuk decided to hire me to create a logo. A Special Need is a nanny agency devoted to providing nannies experienced in special needs to parents. The brand new company was in need of a logo to represent their services and online blog that helps parents and professionals. 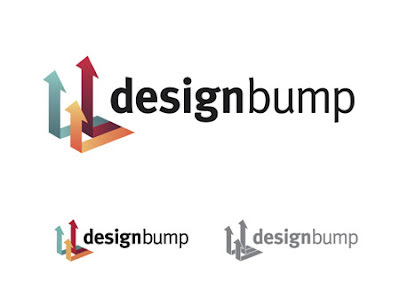 The eagle eyed amongst you might have noticed a revamp of the design specific bookmarking site DesignBump.com. John Campbell recently got in touch to ask if I’d be interested in helping out with the redesign. Being a site I’d been subscribed to since its launch I jumped at the opportunity. Here’s an overview of my design process for the project. The logo design project was completed as part of a full branding and web project at carrotmedia. 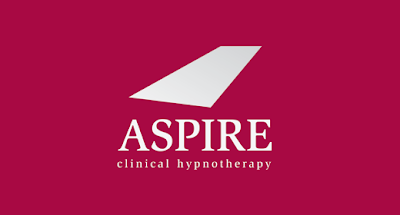 Aspire Clinical Hypnotherapy is the trading name for Judi Butler, a clinical hypnotherapy from Newcastle upon Tyne, UK.From setting up in business, Judi had originally ran her business under the name ‘Gosforth Hypnotherapy’ which restricted growth and defined her to a certain area within Newcastle. For the dacheboard, I thought it would be both interesting and useful to communicate the stages of my design process from start to finish. A personal project I'm currently working on with a developer friend is a website called myNiteLife. As part of the overall design process one of the first jobs of the project was to develop a logo and brand for the website, follow this step by step documentation of the whole process of the logo design from conception to completion. 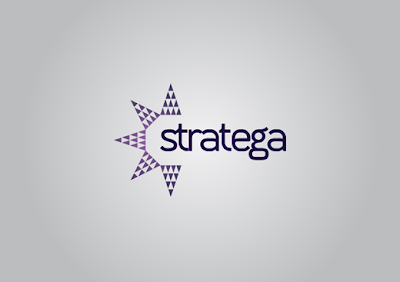 Giacom is a leading provider of Internet services to the private and public sector in the UK, Europe and beyond. Giacom’s portfolio of services includes scalable Internet hosting and outsourced message filtering/archiving systems. 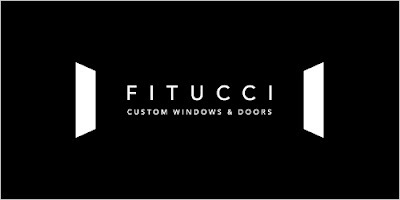 In this article I will guide you through my design process of creating the logo for Fitucci, offering insights into not only the thought process behind creating the logo but also the creation of the logo itself. When we were approached by Bounty Bev to design their logo and initial web presence, I was beyond excited. Distributor of Fort Collins Brewery and Caldera Brewing Company, Bounty Bev is small, willing to take chances, passionate about what they do, and ready to receive creative and branding direction. My favorite type of client to work with. I have recently completed a project working on a new logo for a company based in Vienna, Austria. I found this an interesting process to recount as the client had a name which suggested an obvious solution however this was not what the client wanted. I thought that it would be helpful for other designers who find themselves stuck on a certain solution and serve as interesting reading for the design community to show my creative process from start to finish. Sol Sender, who led a design team for the Obama 08 logo, was recently interviewed about the project.Here’s a walk through the various logo options, with some of Sol’s thoughts. The full interview videos can be watched on the website of VSA Partners (where Sol is now a strategist). I recently created a new identity for my client DANZK. This article is all about walking through the process it took me to create the logo and give you some insight into the way I use my own steps to create a logotype from scratch. Hopefully you’ll learn something new, see something you already know, and see the work the goes on behind my designs. 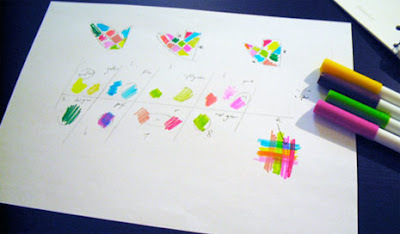 The process of designing a logo differs from designer to designer. I’ll explain here how I handle the logo designs for my clients. The logo I’ll be discussing here is the Qlicks logo. Qlicks in an Internet Marketing company, specializing in strategic marketing communication.It all starts with a detailed briefing. Since not all clients know what information is important to myself, I hand them over my list of questions. The questions vary from regular info about the company to who their competitors are, who their target audience are, how they would like to be seen as a company etcetera. I have recently completed a new identity and thought I would share the experience. The aim is to follow my design process from start to finish and to serve as interesting reading for the design community. This month, I have taken a look at troove, a company which provides a management system to small businesses. They offer a high quality product and I was excited to be on board for the launch. 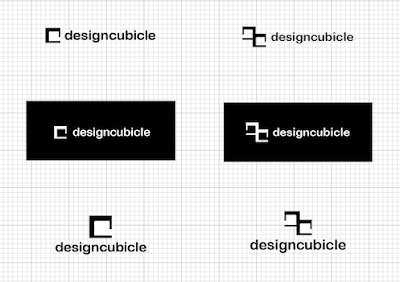 The goal was to create a logo that was memorable, represented the cubicle concept and showed a sense of community and connectedness, as discussed above. I also wanted it to be simple and smart, since I am a firm believer that less is more. It also had to work well in various sizes, since it was to be used as the site’s favicon and other smaller online propaganda. Design is a collaborative process between the designer and the client so the first stage of the process is always trying to understand the nature of the client's business. Social Signal is a web strategy company that helps business, non-profit and government clients use the latest web tools to engage their customers, supporters and the general public in crucial conversations. Operating for more than 50 years, Henri Ehrhart is a French wine producer in the Alsace region. 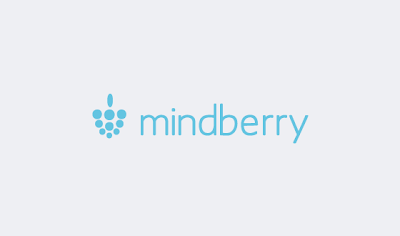 The company focuses on standard and medium range wines distributed mainly in supermarkets, selling 4.5 million bottles in 2008.